Although it is a very exciting night for children & adults alike, it is important to be responsible while celebrating this fantastic holiday. At PYD we thought it would be important to share with our community some general Halloween safety tips, ways to accommodate to children with disabilities, and how to watch out for your child’s health on a day that has become centered around eating candy. We hope that this helps you celebrate a safe & inclusive Halloween! Use the buddy system! Children should never go trick-or-treating without adult supervision. If you are out with a big group of children make sure that everyone has a designated buddy to so that no one is left behind. Children get very excited about Halloween but it is important to remember that drivers, especially in the city, are not always aware of their surroundings. Avoid crossing the street until you have the pedestrian walk signal and be sure to keep an eye out for drivers ignoring traffic lights. Bring a flashlight! Not all neighborhoods are properly lit and the extra light will help children to be aware of their surroundings. Never let your child enter a stranger’s house. Make sure your children go to the restroom before you leave the house and plan a few short routes in different directions so that you come home in between houses. Stay on the sidewalk, do not cut through lawns! This will help to avoid confrontation with hostile neighbors and can help prevent any tripping or falling down. Do not approach houses with the porch light off. This is the universal sign for we aren’t home, we are out of candy, or go away. Make sure that at least one person in your party is wearing reflective/light- colored clothing. If a child is blind, take the time to describe the type of candy you have in the bowl to make sure that they get to choose the type they want. Do not try to pet or distract any service dogs that are accompanying trick-or-treaters. They are working to assist an individual with a disability and your distraction takes away from their ability to assist their owner. If a child has a hearing impairment remember to face them so they can clearly see your mouth when you are talking, even if they have an interpreter present. Have sugar-free & peanut-free candy or snack options. This will make sure that children with diabetes and other dietary restrictions can still participate in the festivities. If your building isn’t accessible, which many buildings in Boston are not, move to a more accessible area to hand out candy. This may mean setting up at the bottom of your porch stairs. Keep your pets inside the house when trick-or-treaters arrive. Be patient and treat the child the same as you would any other child. Even though they might have a disability, they are NOT their disability. Before you go out trick-or-treating you should prepare your children for what to expect when they come home with their candy. These are what I like to call, Candy Rules. By explaining the rules before children go trick-or-treating they are less likely to be disappointed when they come home. Any candy that is not fully wrapped and sealed is immediately thrown away. Explain to your kids the danger of eating that candy. Anything that is homemade is immediately thrown away. Once again, always explain why you have this rule to help kids process and gain understanding. Anything children are allergic to or do not like is thrown away or donated. This may seem obvious but some children need reminders that just because the candy is available, doesn’t mean they should eat all of it. 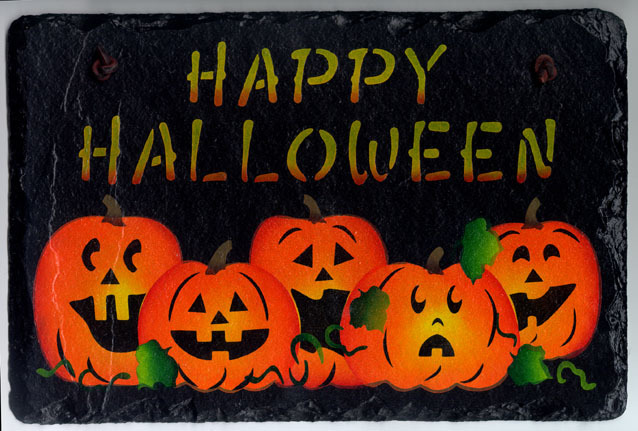 Start with a small bag rather than a pillowcase to monitor the amount of candy your child receives. Tell your child that once they have filled up the bag then it will be time to go back home. Teach by example. If you bought a bunch of candy to pass out and still have bags left over, donate the candy or bring it to work. Children will mirror their parents’ examples and will have a hard time understanding their limitations otherwise.